The naturalist intelligence is represented in the ability to identify patterns and sequences in nature. This is the intelligence focus in the farmer, the horticulturalist and the environmentalist. 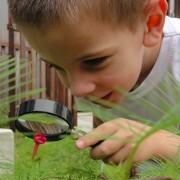 For the young child, this is the ability to identify and work with plants and the natural world. In the twenty-first century, however, we teach our children in an environment very different to the more naturalistic setting of the past. Today areas of untamed nature are comparatively rare and most young people are exposed to the technological mall-society, and spend their entire lives in unnatural city environments. As a result, a vast number of children have little opportunity to become fully acquainted with nature and therefore may have little chance to develop their naturalist intelligence. Yet, Gardner states that the naturalist intelligence continues to be used by children today – albeit unwittingly – in identifying and categorising objects. For example, a popular hobby amongst young children today is to collect themed trading cards. In our modern consumer society, the naturalist intelligence is manifested in the ability to make distinctions between different cars, various kinds of cosmetics, brand names in sneakers and so on. One of the central characteristics of this intelligence is a form of pattern recognition. It is therefore incumbent on parents and family members to create a fertile environment in which to nurture the naturalist intelligence in their children. Some children seem naturally attracted to the outdoors. 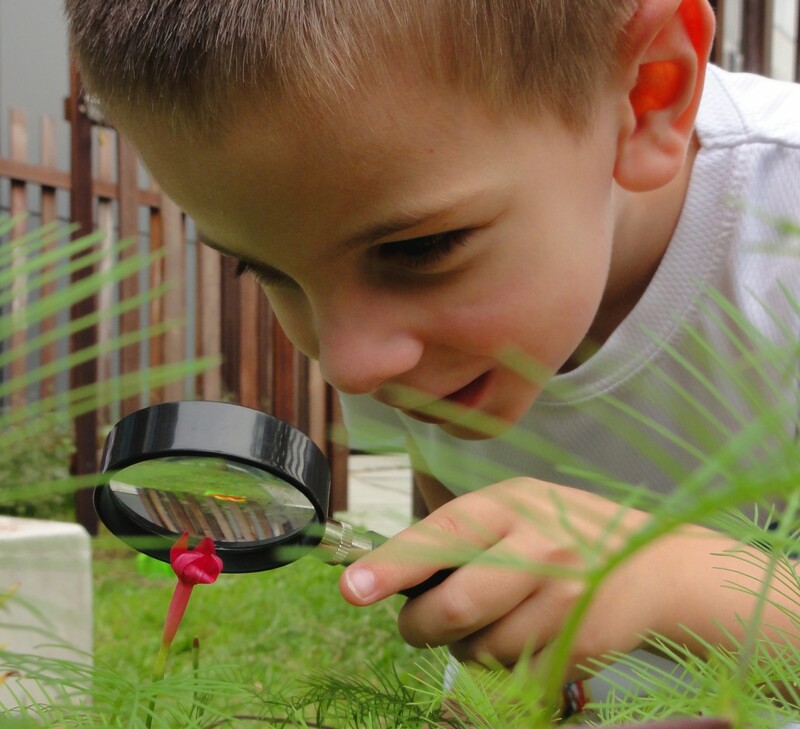 One of the central aspects of teaching the naturalist intelligence in the home environment is being able to identify and nurture these qualities within your child. There are a number of factors that you can look out for. The child with a latent naturalist intelligence is usually very comfortable spending time out of doors, often choosing to view programmes about wildlife, animals and the ecosystem. Does your child like to care for and nurture plants and animals? Is he able to recognise patterns and colours as well as animal classifications in the environment? If your child feels a definite connection with nature and is eager to view and appreciate nature and the environment, he will show a keen interest in pastimes like collecting rocks, minerals, plants, seashells and other elements in nature. Help your child develop research abilities by providing equipment such as magnifying glasses, microscopes and small collecting bags. Provide opportunities to use this set of equipment by incorporating a few “field trips” in your itinerary on your next holiday or weekend getaway. Or, if you are at the coast, introduce your child to marine ecology and aquatic life. An easy alternative is to create an underwater world in a water tray at home. The family can browse through books or magazines about the sea. This is a good time to read articles with your child and invite his opinion. Support your child’s vocabulary when naming objects and talking about sea creatures. Prepare a collection of objects, such as shells, pebbles, sand, plastic sea creatures and toy divers, and allow your child to create his own scene. Playing in this way will encourage your child to observe the effect of water on surfaces such as pebbles and sand. He will learn that some objects float while others sink. Always involve your child in sorting the objects and putting them away at the end of the session. One obvious and simple way to encourage the naturalist intelligence in your child is to take him on an exploration of the garden or park. Close observation of these areas will reveal plant and insect life that possibly has been disregarded. The immediate area may even provide its own ecosystem with rainwater pouring down drainpipes and irrigating plants and weeds. Data from these excursions can be collected and transformed into tables and charts that may be displayed in a special area in the home. These trips will almost surely generate a barrage of questions from your budding naturalist, which will be motivation enough for a further trip to the library or museum, perhaps to identify a certain species of small lizard or insect found in the park. Another fun activity to do with your child is to go on a “bird walk” around the neighbourhood, local park or zoo. Look at books and posters of birds and ask your child to name any birds he knows. Look at the way birds move. Discuss how birds use their feathers to fly. Bring along a bird-watching kit comprising identification book, binoculars, notepad and pencil. Emphasise the need to be very quiet when bird-watching and to listen carefully for birdsong. Describe bird sounds they are likely to hear, such as chirp, tweet, caw and trill. See how many birds your child can identify on the walk. Back at home let your child make nests by providing lengths of wool, string, straw or hay. Show him how to weave and wind the materials around a small plastic bowl and then remove the bowl. Make a collection of feathers and allow him to examine them closely under a magnifying glass. Ask your child to describe the feathers. Are there hard and soft parts? What colours can he see?… Create a unique work of art by painting and drawing with feathers. Zoo animals usually fascinate young children. However, to make the family outing more purposeful, concentrate on a few animals at a time. Find out about their countries of origin and natural habitats. Encourage your child to create miniature environments from twigs, small cartons, dried grass, straw, wool and so on. Provide shallow trays, sand and cellophane to represent watering holes and waterways. Provide flat boards for creating scenes. Read animal stories to inspire his play and help him to extend his own scenarios with appropriate vocabulary. It is important your child be allowed to empower himself. This is best achieved through shared projects. Let your child decide on a plan of action, probably with a little prompting from you, on how to solve certain problems or issues. Encourage information flow by letting your child answer questions like, “What did we discover today?”, “What did you see today?”, “What do you think about this?” and “Do you understand?”. The prime motivation for the implementation of the theory of multiple intelligences is to create more avenues for the child to grow and learn. Copyright © Theresa Lütge-Smith . All rights reserved.